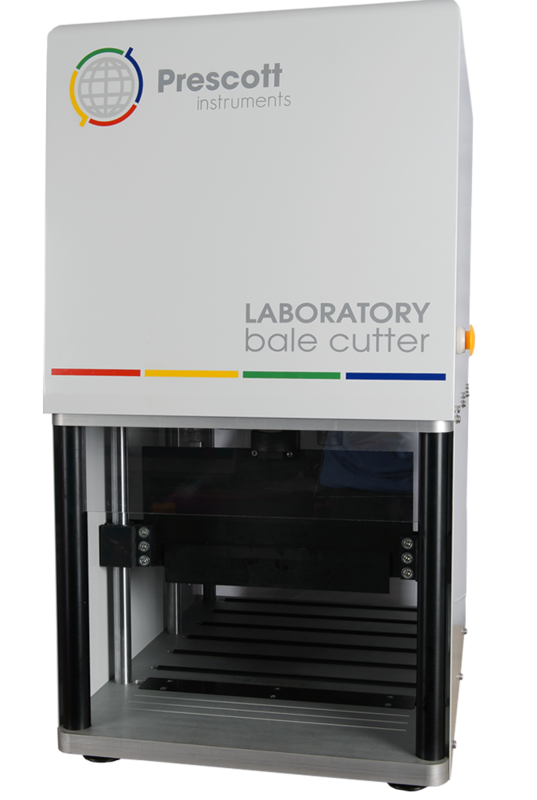 The Prescott Instruments bale cutter is ideal for laboratory applications that require the cutting of both natural and synthetic rubbers into manageable sections, ready for sample preparation. This pneumatic-powered cutter is equipped with roll conveyor to assist with positioning the bale. A set section size can be achieved when aligning the bale into the cutting zone. The design has a removable back panel, to allow ease of access for larger bales. Cutting guard – This will be lowered first, before the cutting blade. If obstructed the cutting blade will not be lowered. Emergency release button – Once pressed, the blade and guards are raised. A fully-enclosed design with a transparent safety guard and back panel. Once the guard is down the buttons can be released, when the cutter has completed its stroke and the rubber is cut the guard can be raised by pressing the release button.